Trying to reduce your spending? 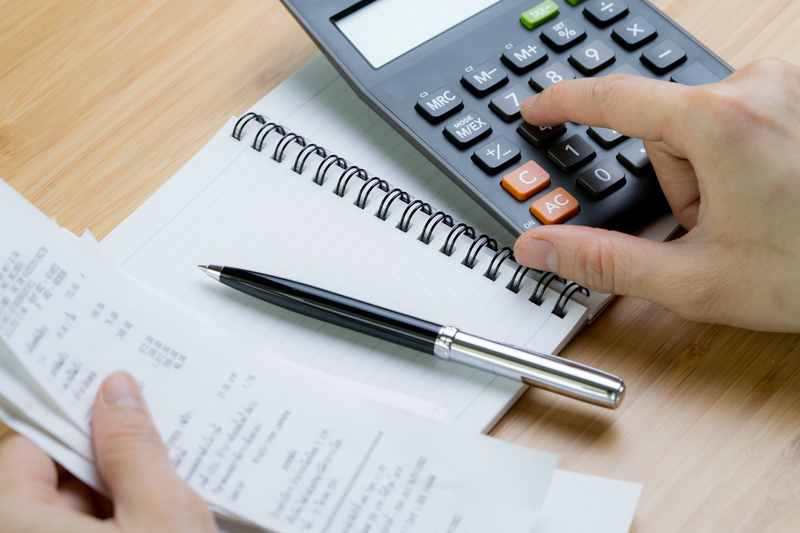 Here's how you can manage your expenses better. It's a question just about every young adult has asked themselves at one point or another: Where is all my money going? You think you'll have plenty of money left over at the end of the month, but after you pay all your bills and those occasional extra expenses, you barely end up breaking even. There's likely a lot of money you could save by getting your budget in order. All it takes is playing a game of cut, keep, and kill with your usual expenses. These are the things that you don't need to remove from your budget entirely, but you should look to pay less for them, because they're areas where consumers often overspend. Going out/dining: It's fun to go out every so often, and if you decided to cut this from your budget entirely, it wouldn't exactly be easy to maintain a social life. After all, going out for dinner or drinks is one of the most popular hangout options. That said, it's also very easy to overspend here, so make sure you set a strict limit on how much you'll spend in this area per month. You can check your bank and credit card statements each month to make sure you're staying on track, or you can use a budgeting app to let you know when you're near certain spending limits. Your car: Unless you have more money than you know how to spend, you don't need the newest, fanciest car you can afford. The smartest approach to buying a car is to find one that's at least a few years old but still in good shape. If you opt for a reliable used car with decent fuel economy, you'll spend less on the sticker price, insurance, maintenance, and gas. Cellphone service: With all the wireless carriers out there, you can find plenty of great deals on cellphone service if you're willing to search. Don't forget low-cost carriers, as they sometimes offer significantly lower rates and similar quality to the big four. Opt for a cheaper plan with less mobile data if you're usually able to connect to a Wi-Fi network. Set up auto-pay, as many carriers offer a discount if you do. Go with a prepaid plan so you only use what you need. Video streaming: Odds are you don't need Netflix, Hulu, and Amazon Prime all at the same time. Overspending on subscription services is a common and correctable issue. Instead of paying $30 or more per month to have all the content the internet can offer at your fingertips, stick with one streaming service. If you want to try a new one, just cancel the previous service first. Not every expense needs to be reduced or eliminated. Unless you've been spending far too much on one of the items below, these are costs you can keep. Rent/mortgage: While your home shouldn't take up a huge portion of your budget, you do need a roof over your head. A good rule of thumb here is that your housing costs should be no more than 30% of your gross monthly income. So if your gross pay is $3,000 per month, you’d want to pay $900 or less for your rent or mortgage. Now, it's important to remember that there are many insurance carriers to choose from, and prices can vary substantially from one to the next. Make sure you shop around to make sure the premiums on all your policies are competitive. Physical fitness: A gym membership and some workout gear are well worth the cost. Exercise is good for your physical and mental health, as well as your finances: Staying in shape will help prevent expensive health issues later. Food: This is another one of the necessities, and it's never a good idea to sacrifice the quality of what you eat to save a few bucks. Hobbies you're passionate about: If you have a hobby that you love, then you shouldn't feel guilty about spending some money on it (within reason, of course). And now we've reached the expenses that are just plain unnecessary. Cable: With all the streaming services available, including some that let you watch live TV, there's really no reason to spring for a cable package. You can get all the shows and movies you need online at a quarter of the cost or less. Annual cellphone upgrades: Despite what phone manufacturers would have you believe, this year's smartphone isn't much different than last year's. One of the most common ways people waste money is by upgrading to the latest iPhone or Galaxy when their old phone works fine. Unused subscriptions: Those small monthly charges may seem insignificant, but they add up. If you ever find yourself debating whether you need a subscription, it's probably best to cancel for the time being. You can always resubscribe later if you miss it. Even if you think you're not wasting any money here, you should look back at the last few months' worth of bank and credit card statements. You may be automatically paying for some subscriptions you had forgotten about. Credit card interest: Credit cards are the best payment method you can use, but only if you pay your balance in full every month. Paying interest on credit card balances is a terrible deal for you, because it essentially means you're paying extra for every purchase. If you currently have any credit card debt, focus on eliminating it as quickly as possible. Banking fees: Account maintenance fees and overdraft fees can be a frustrating drain on your budget. If you've been paying unnecessary banking fees, it may be time to look into the top bank accounts so you can make a switch. Smoking/vaping: It's obviously difficult to up and quit habits like these, but both of them cost you money and have a negative impact on your health. A pack of cigarettes costs $5.51 on average in the United States, according to Fair Reporters, so if you’re smoking anywhere near a pack a day, you’re looking at over $150 per month on cigarettes. Vaping costs depend quite a bit on what device you have, but Elevated Vaping estimates that it can be anywhere from $35 per month with a refillable pod system to $171 per month with a more expensive setup, based on a consumption level of 1 ML of e-liquid per day. Everyone's budget is different, so now is a good time to go over yours and review your monthly spending habits. Combined with the list above, you'll be able to pinpoint where you're spending too much and find ways to cut back.